Middle school brings new experiences for students: multiple teachers and classrooms, lockers and the school planner, also known as the assignment book. Some students take to the planner like a long-lost friend, happily writing down their assignments and jumping at the chance to use different colored pens, stickers and post-it notes. Others, particularly students with ADHD, executive function issues or other learning differences, quickly view the planner as a hammer coming down on them day after day. With the onset of new assignments, parents and teachers quickly ask, “Why don’t you just use your planner?” I call the planner the one-size-fits all solution to school organization. The problem is that students come in more than one size. If your child has organization issues, you may have already taken him or her to tutors or other organization specialists. These well-meaning individuals may have explained to your student why using the planner will help them remember their homework assignments, due dates and upcoming tests and quizzes. There may be optimism that the tool, once properly explained, will turn your student into a pro planner. No more tears, anger or frustration when they don’t know that evening’s homework, realize they have left a worksheet or textbook at school, or forgot about an exam. In some cases, the student and planner begin to work well together. But what about those students who just don’t use their planners, no matter how many times they are told to? In these situations, coaching may be the answer. The purpose of these types of questions is to learn about the student’s specific school environment and how they personally like to work. After I get a feel for how the student’s teachers work, the student’s working style and the student’s likes and dislikes, I give him or her a blank sheet of paper and ask the most important question, “If you were to make the ideal planner for you, can you show me what it would look like?” I give the student time to think and start to put it down on paper. As they are creating their planner, I ask them questions to help their thinking and development process. When the student is done, we talk about how they would actually use the planner during their day and make any adjustments they feel is necessary. As the coach, I ask, “Would that work for you?” When it is done, I ask the student whether they would be willing to try their new planner for a week to see how it goes. I let them know that inventions take time and often have to be adjusted before the final version is found. If the student agrees to the trial, when we meet next, the student will tell me what worked and what did not. In addition, the student will have thought through potential changes for the things that did not work as well as they would like. If the student is not receptive to trying their individualized planner, I ask questions designed to unearth what may work as a motivating factor. Perhaps they want to get good grades, go to a certain college, have a better relationship with a teacher, or have fewer arguments with their parents. If I can find a way to show them how utilizing their self-designed planner will help them achieve something they want, they may change their mind about trying the new planner. Young people, like adults, are far more likely to do something if there is something meaningful to be gained. The coach’s job is to help them see the process that leads to the goal. When a student is still not receptive to trying their planner, I tell them we will do a different trial. For one week, the student will not use any planner to prove they do not need it. They will have to remember all their assignments, tests and quizzes and everything else they need to complete all their schoolwork. At the end of the week, we will see how they did. Most kids with ADHD or Executive Function issues will not be successful—not because they don’t want to be but because of working memory problems. If the student is not successful, then the following week they take their self-designed planner for a trial run and we go from there. It is extremely worthwhile to work through this process with a student. For many, being asked what works for them is a new experience. Understanding the connection between using a planner and achieving a goal can also be illuminating. The process empowers students and gives them ownership over the strategy to help them become organized. They are invested. All of this increases the chance that the solution they devise will ultimately be successful. Every student has a successful planner within him or her; it is the job of the coach to help him or her find it and put it in place. The start of the new school year is just around the corner. 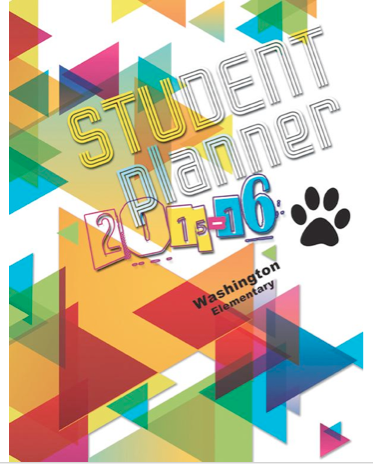 Get a jump on the planner experience now by stopping in to your school to see the principal or guidance professional and asking to see the school’s planner. Show it to your son or daughter, and ask them to think about it. If you think the planner might present a problem, consider hiring a coach to work with your student to devise a planner and/or assist with other organization, time management and executive function strategies that speak to their working style and strengths. Start the new year a step ahead of the game. Romaney Berson is a life coach with specialization in ADHD, executive function issues, organization and time management.